Before we left for our 3-week road trip, I had been looking for ideas to answer several problems: minimize endless questions about what we would do and when, keep a 5-year-old entertained, and create a memento. My 5-year old loves drawing, writing and colouring. She is known at Kindergarten as the girl who always draws. So, when I came across the idea of keeping a travel diary (on Pinterest), I thought this would be perfect. As we would be travelling and changing location regularly, I thought it would also help her answer some questions. Also, as her birthday was during our holiday and we are going to Disney World at the end, I knew she would be counting down to this and needed her to be able to look it up by herself. I set out to create a little diary for her. I created a map with a little itinerary (with Google maps), included one card per day, colour-coded for location and with a little symbol, representing our possible main activity on that day. She doesn't read, so it needed to be simple and visual. I also added a ton of printables I found on the internet. These included things we would be seeing, doing, eating, etc. I printed colouring pages with seashells, manatees, maps of the USA, the flag to colour, some travel lotto games, a chart of local seashells, some games, journalling cards with Disney characters and some blank pages for extra ideas. I printed on thick card and tied the whole thing with rings. I also prepared a little kit with pens, scissors, stickers, tape, and glue. I gave it all to her when we were on the plane. She was delighted and started using it straight away. The little kit was perfect to pull out at night while we wait for dinner or while her brother was napping. She dictated a few sentences about what we had done on that day and she drew or coloured on the page too. We stuck tickets, added pages as people gave her things and created a great memento. I also found it really interesting to hear what she dictated to me. It made me realise what she was enjoying doing on those days and what mattered to her. Just one thing I would do differently. I would have kept some of the pages and given them to her as the trip progressed as she wanted to do some of the games and colouring straight away while I would have preferred to do them in a more time- and context-appropriate setting. I am hoping to keep this little journal and all of us can look back on it in a few years to trigger her memory. You can download my own versions of travel bingos (scavenger hunt) here. 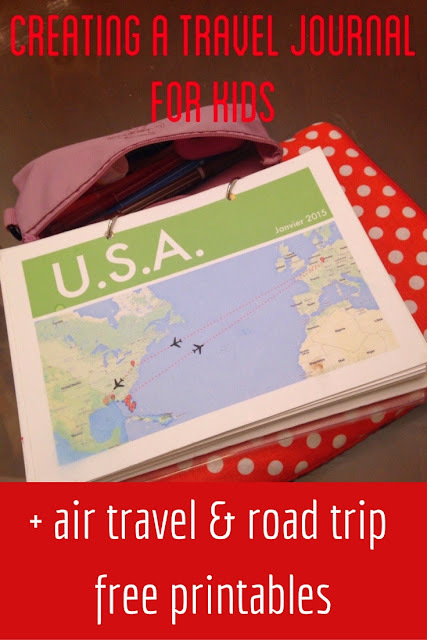 The file is a single page printable with an air travel and road trip bingo games. Simply print the page and cut out the part you need (if necessary). What a wonderful idea - I must keep this in mind for my three-year old. I usually have a pad handy, and we did a scrapbook during our summer in Paris (lots of metro tickets!) but you've taken it a lot further. I love this idea!! What a great activity and what a great memento indeed! This is such a fantastic idea! I think doing something similar over the long summer holiday would be a great idea. 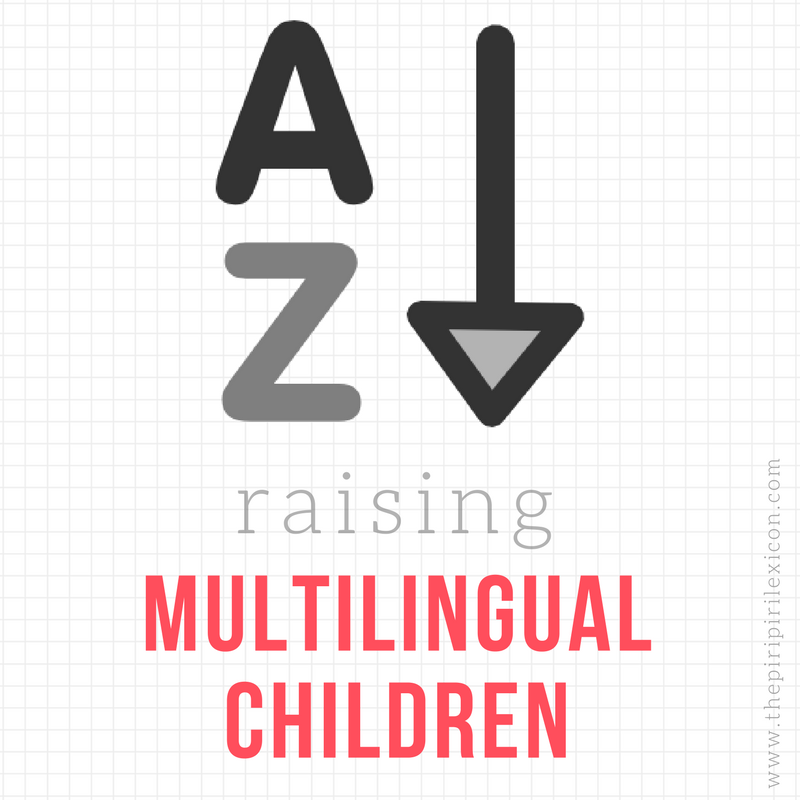 What an excellent idea - and so well put together! A souvenir, a journal, an activity book in one - just brilliant, mama! Did she take it to school to show the class where she went? I remember making this sort of travel scrapbook for myself as a kid (pre-internet, so it never looked quite as coo as thatl!) and I still cherish each one today. I can't wait to do something like this for my kiddos when they are a bit older. Of course, she did! Along with a million photos and some shells. This is so wonderful! What a fun activity for her and great memento of your trip. Such a great idea! We are doing a short vacation on a neatby emirate and will do something similar for the kids. This is a great idea and I love the details you provided. I think I will do this for my 5 your old - also a "boy who draws" for an up-coming road-trip in Spain. Such a great idea! My son would love this.